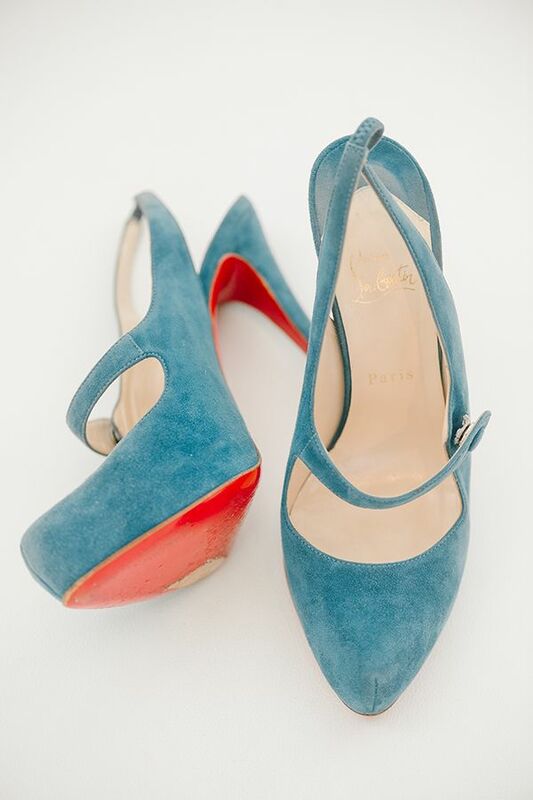 Let's take it from the top today. 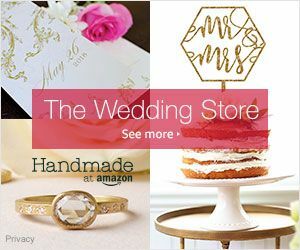 No, literally! 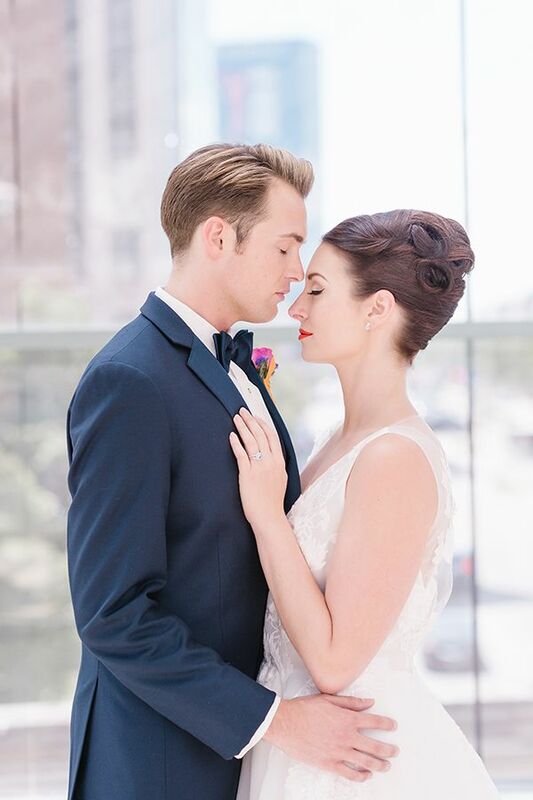 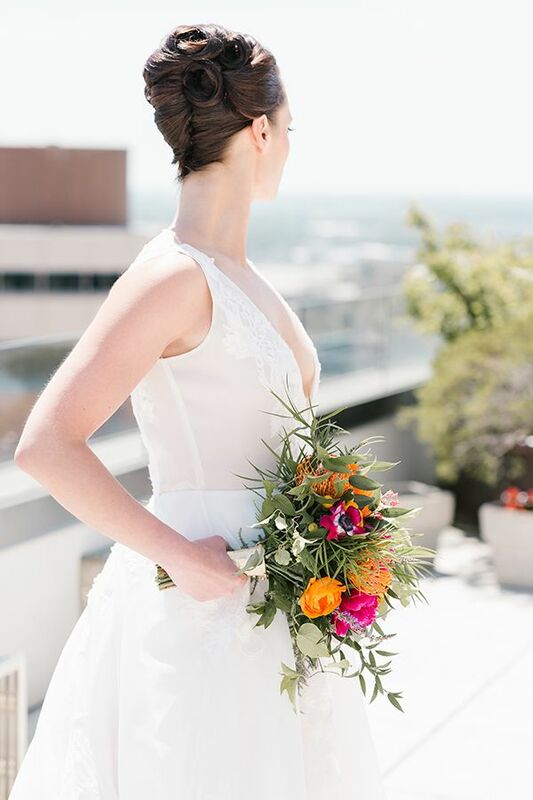 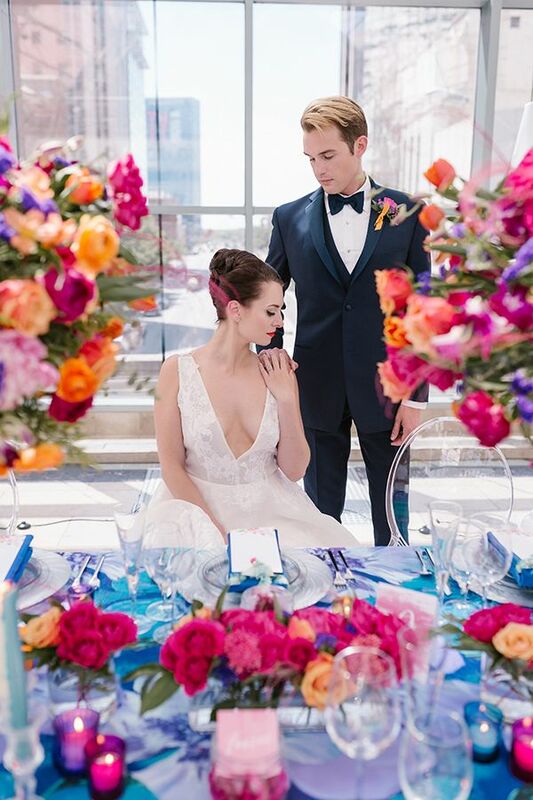 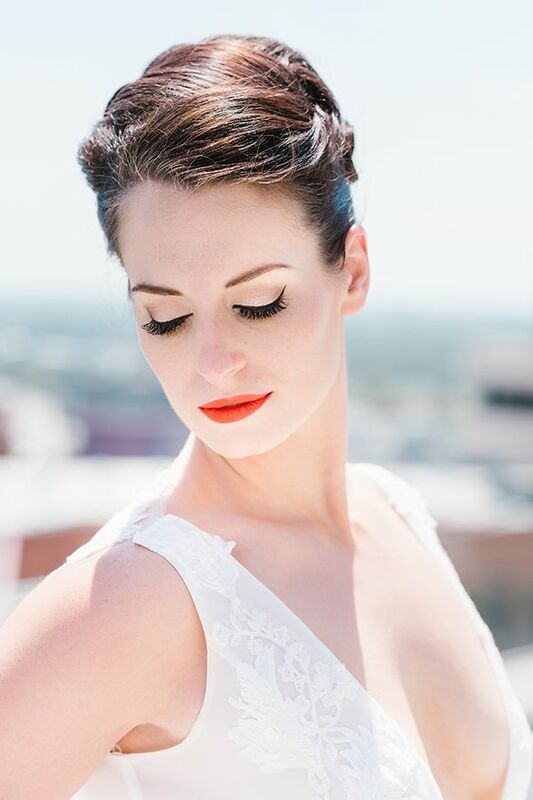 We're setting our eyes all over this beyond beautiful Stacy Able Photography rooftop shoot and we're awestruck over everything, you guys. 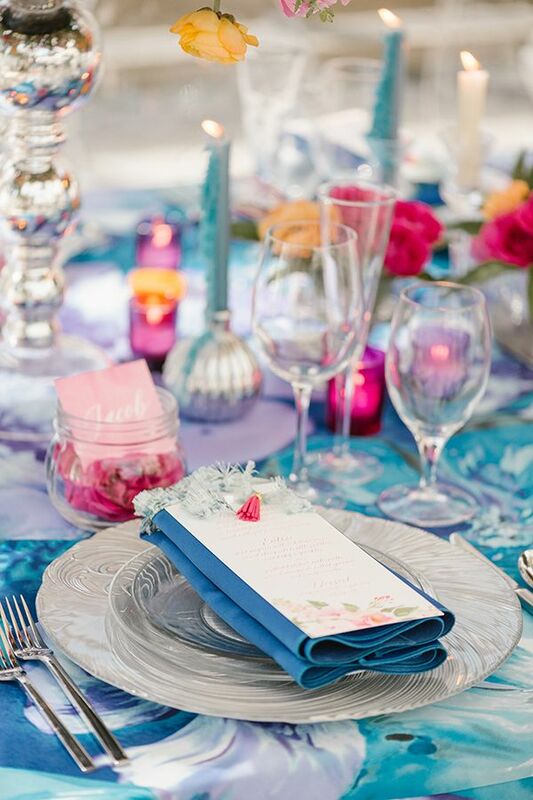 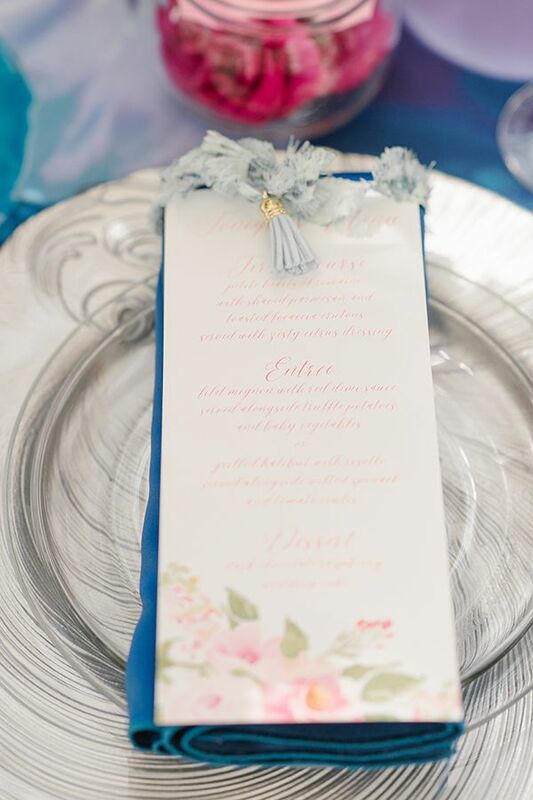 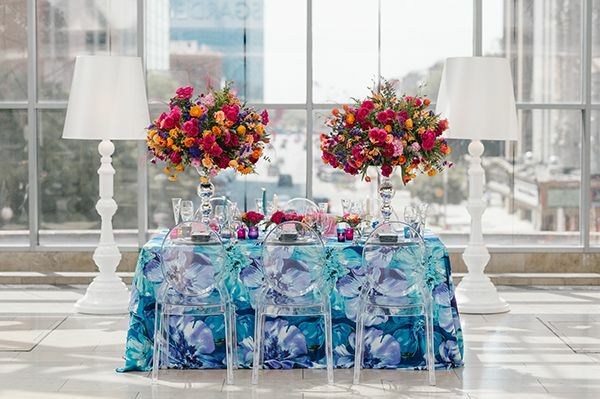 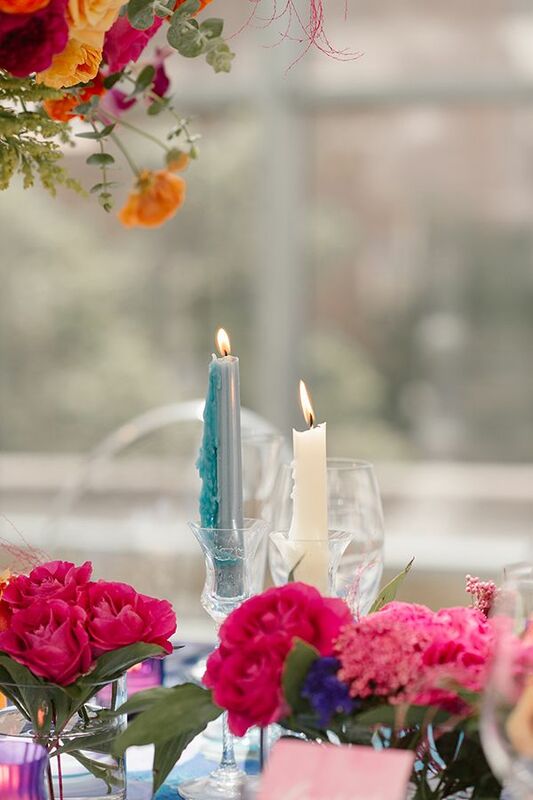 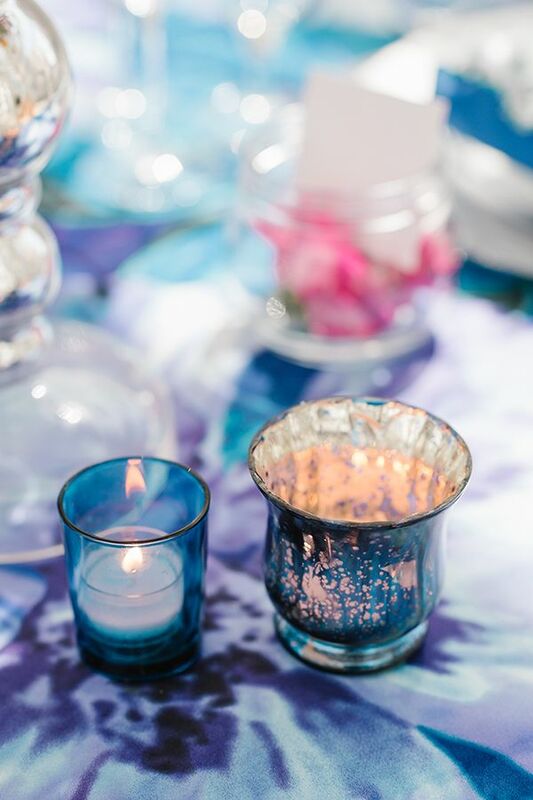 According to Stacy, she and the other style mavens over at Boldly Chic Events and Violets Are Blue wanted to freely play with color and get as creative as they could. 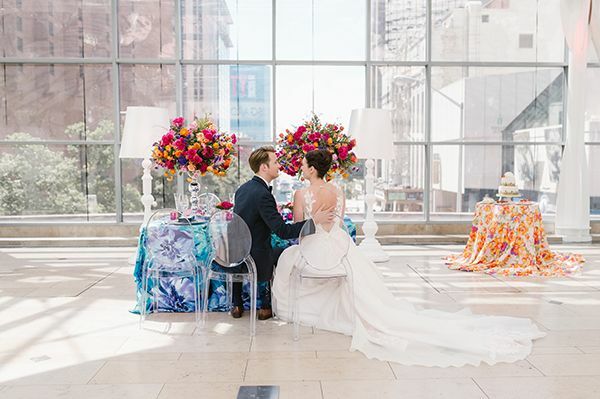 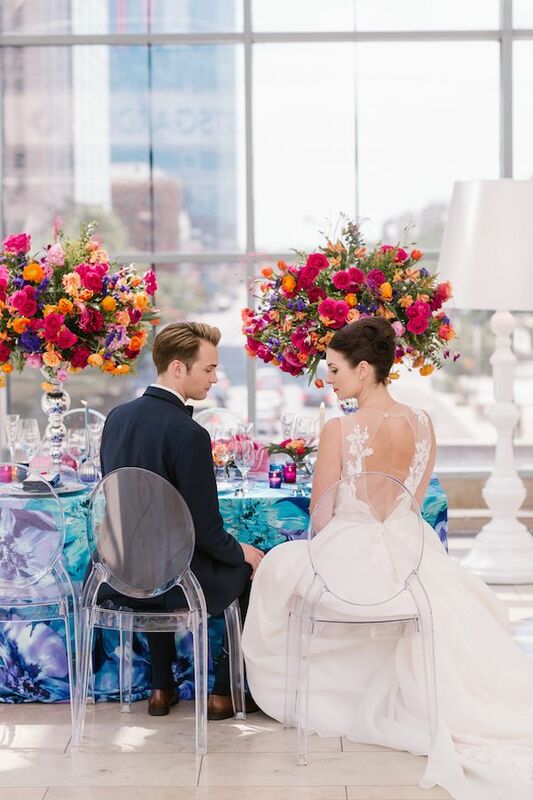 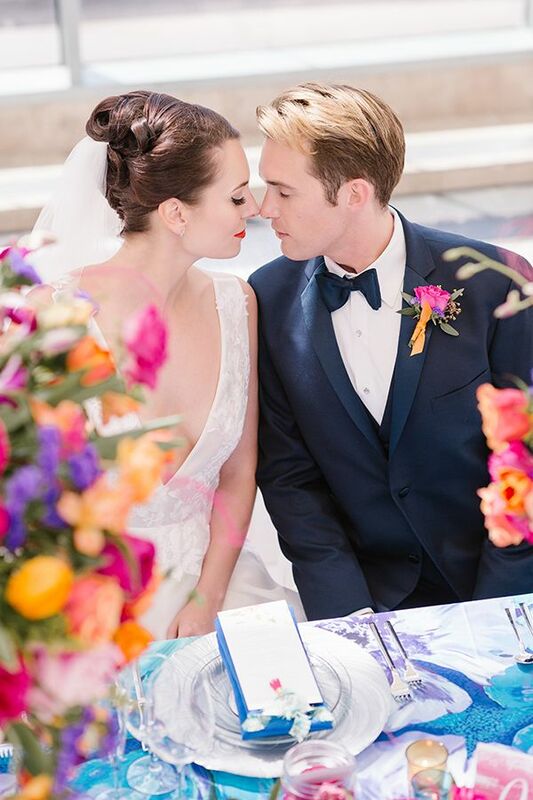 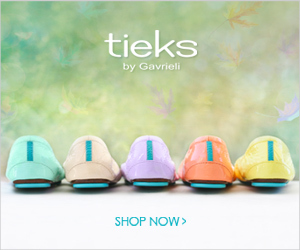 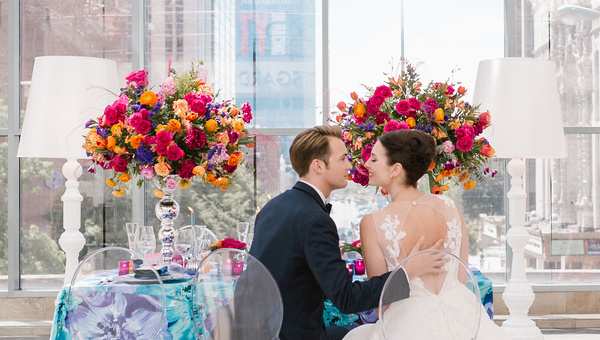 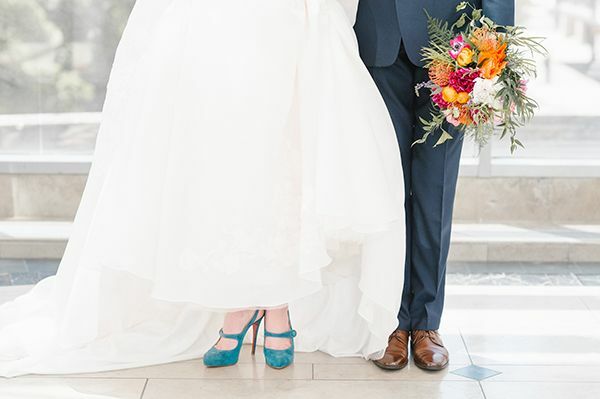 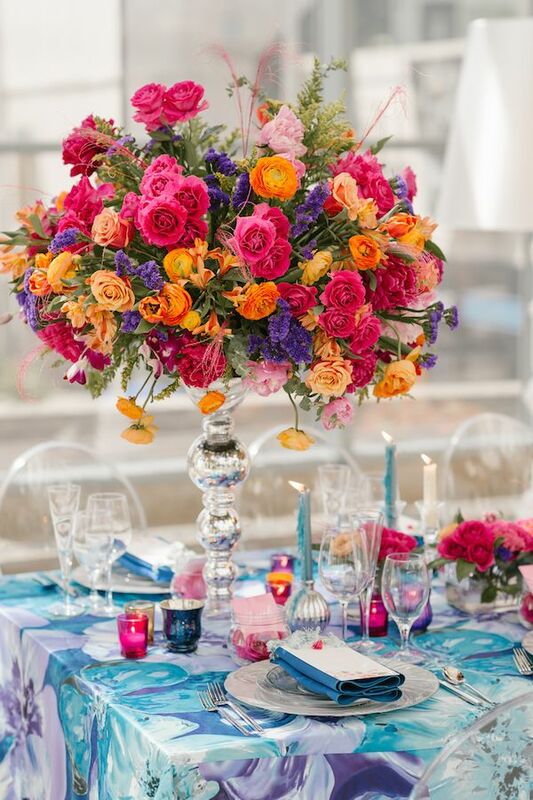 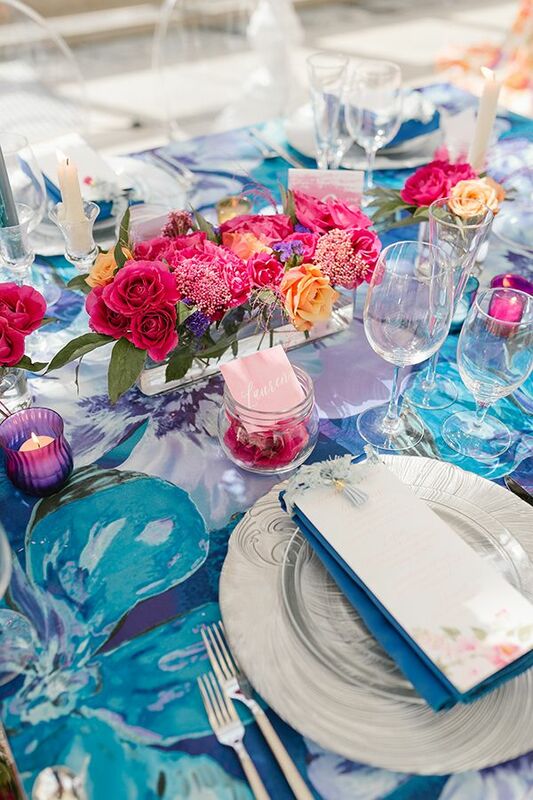 They wanted to inspire couples to embrace a funky color palette and the results are magic. 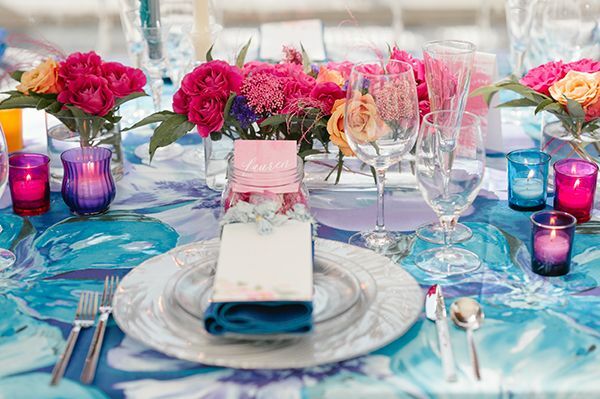 Against a perfectly pristine, bright white space that your imagination could run amok in, we're totally loving all of the divine details and all of the blues, pinks, and purples, especially with Pantone's 2018 color of the year, ultraviolet. 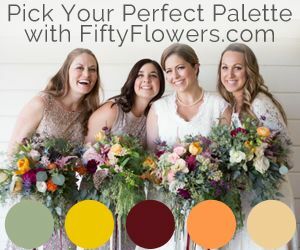 And the best part is, that's not even all of the colors! 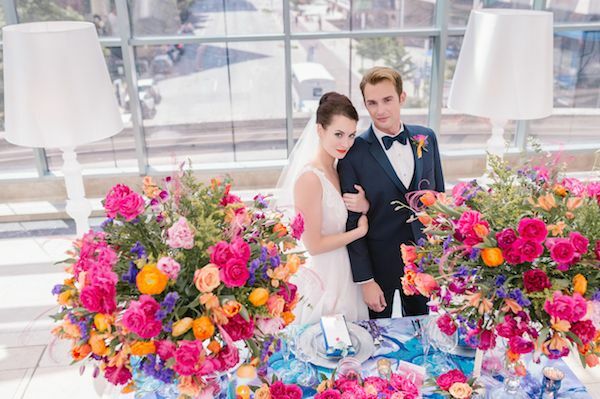 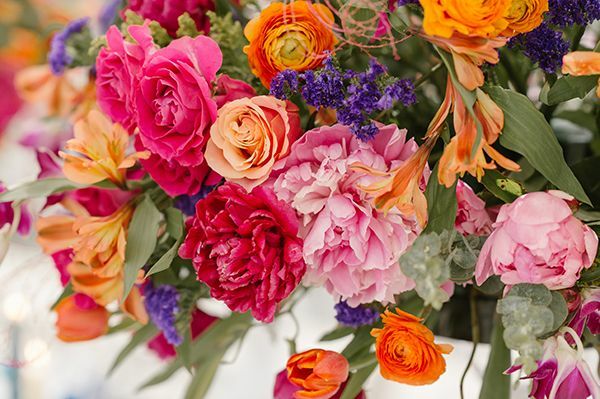 From the photographer, "Color and vibrancy are underused in events. 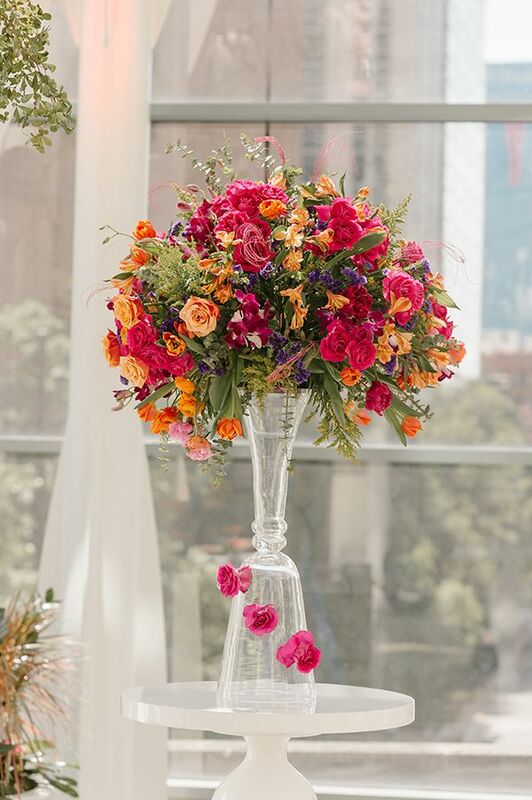 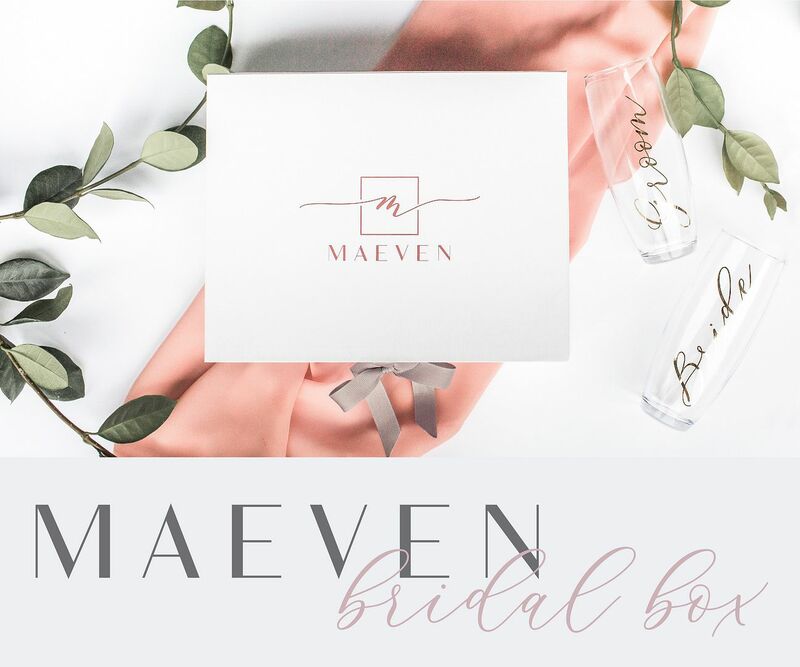 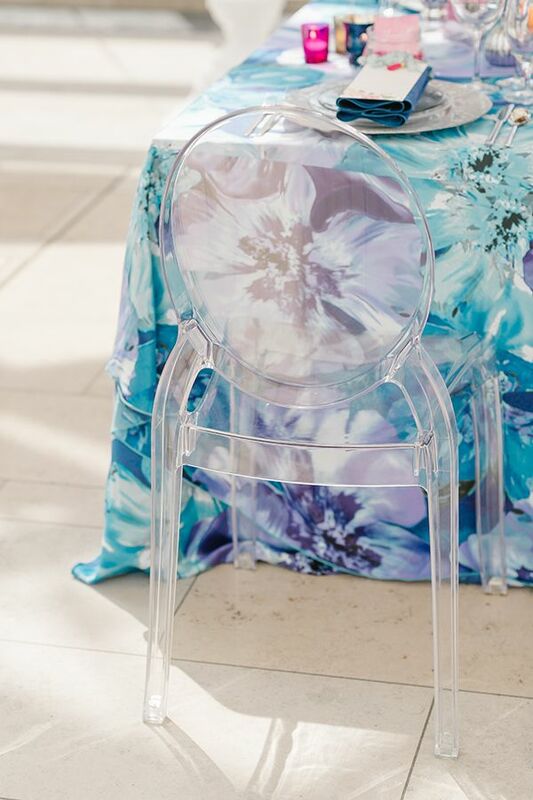 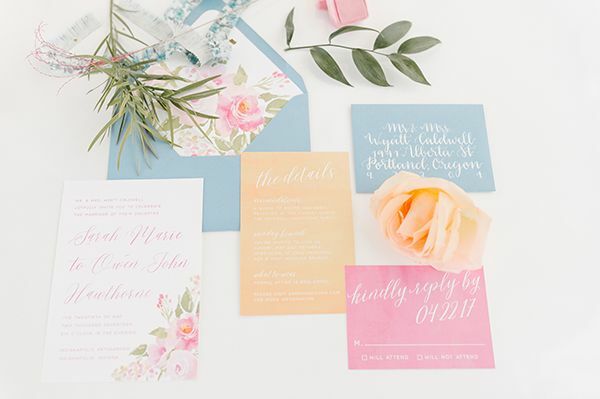 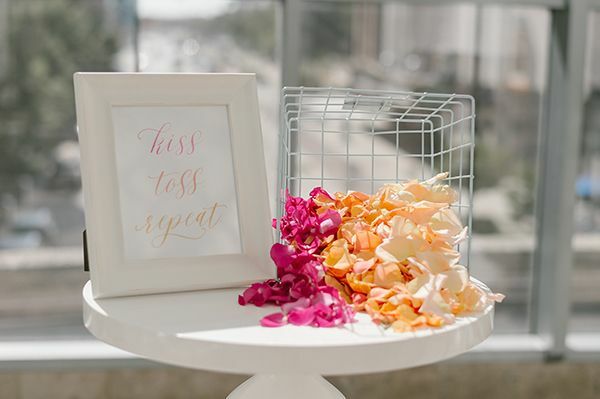 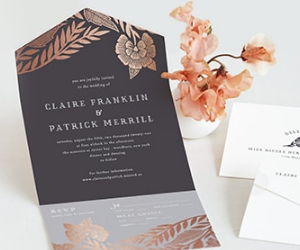 With this special collaboration, we wanted to piece together large prints and patterns and a ton of hues in order to show that color doesn't have be be so scary to brides and grooms planning their day. 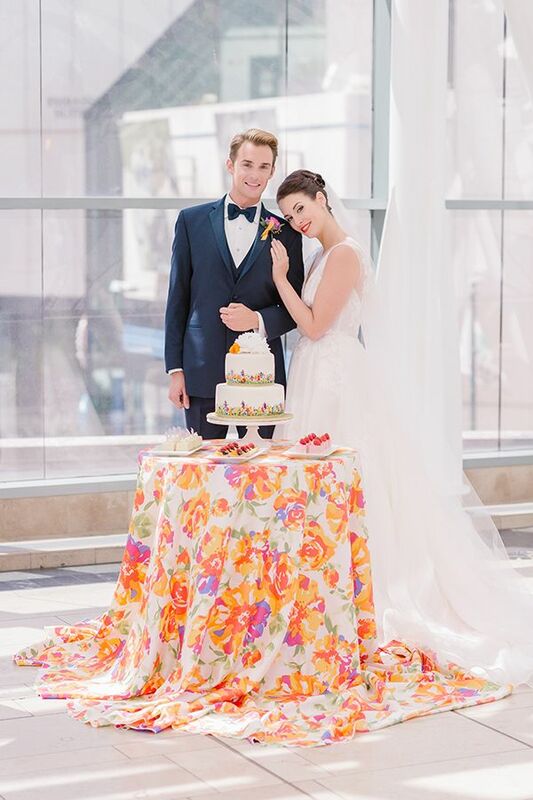 Not only was it an incredibly fun project but the images spill happiness and that is exactly what we set out to do!" 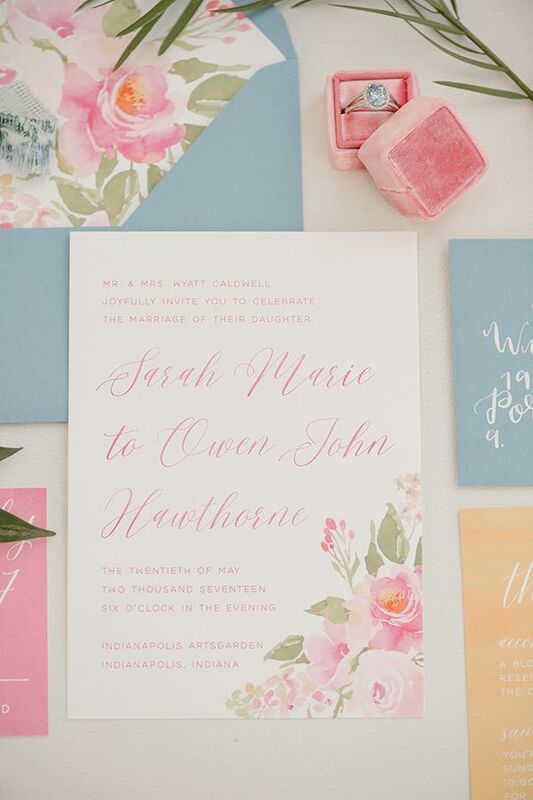 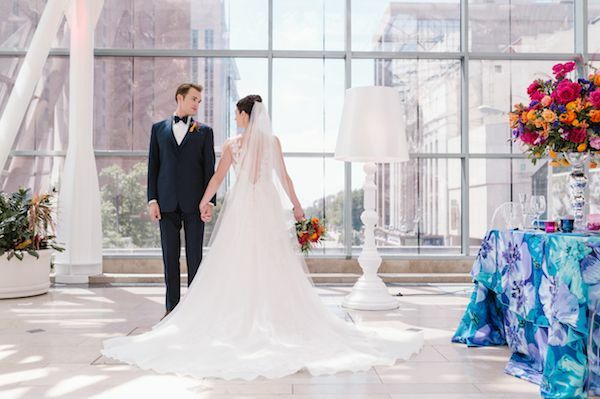 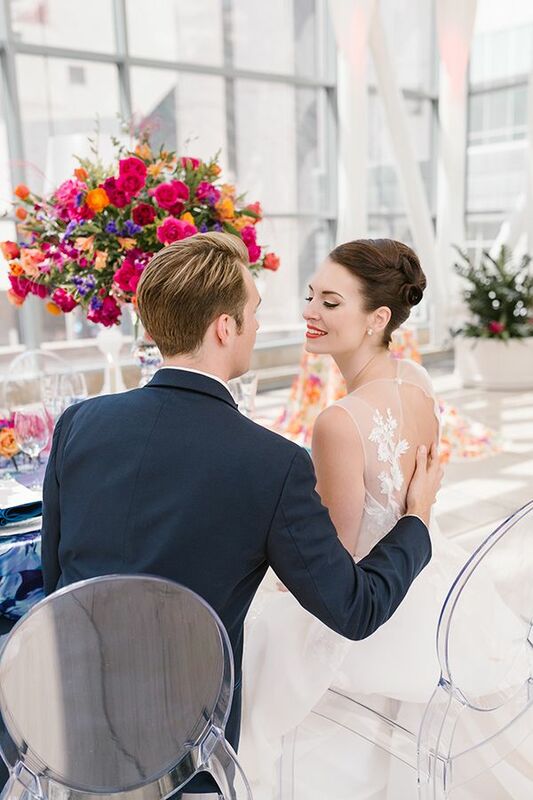 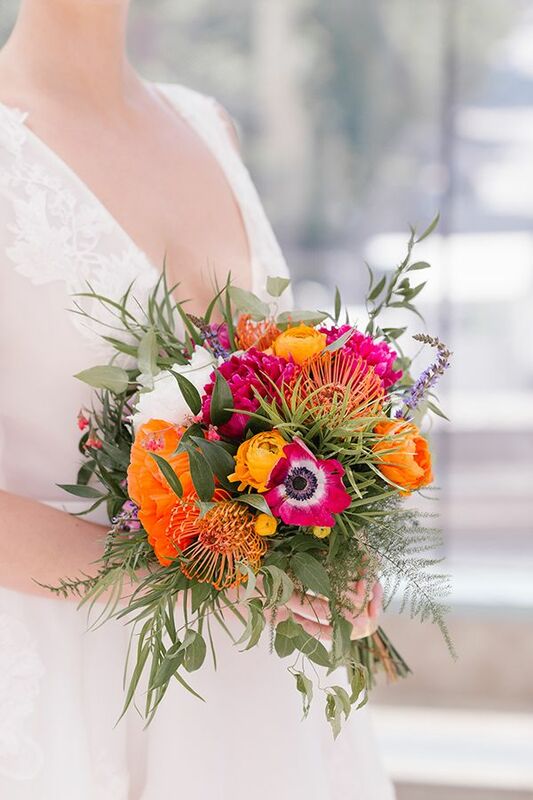 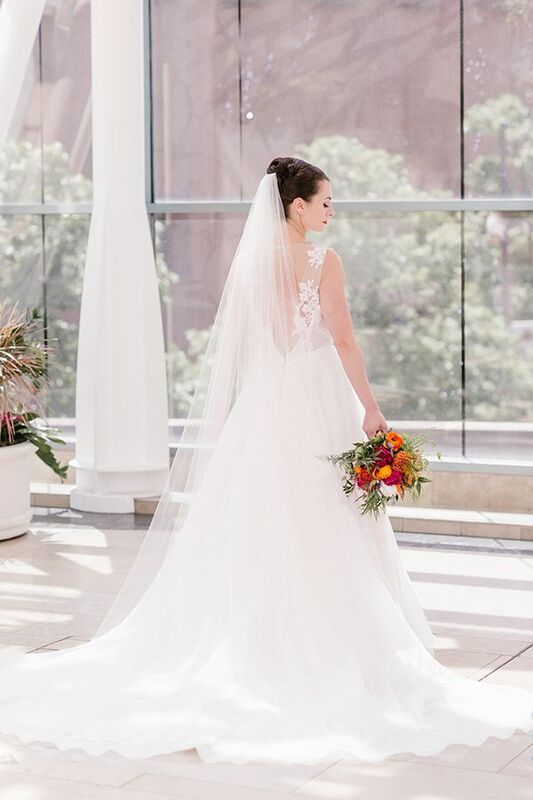 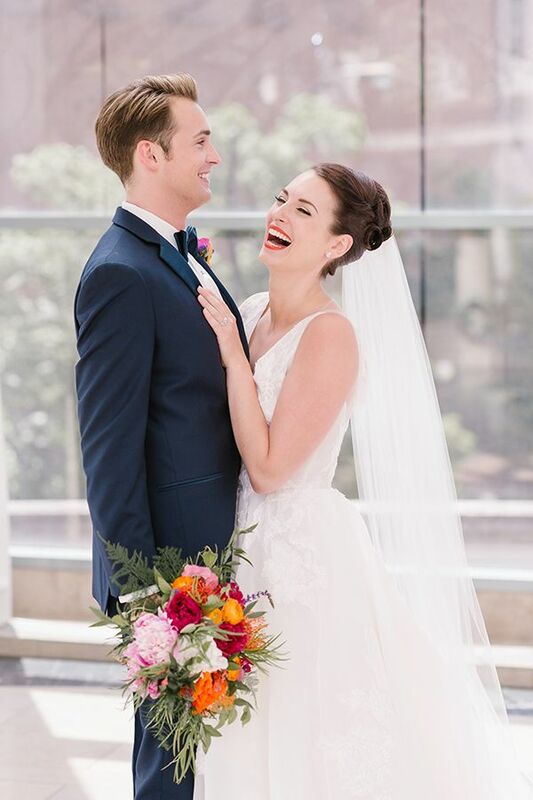 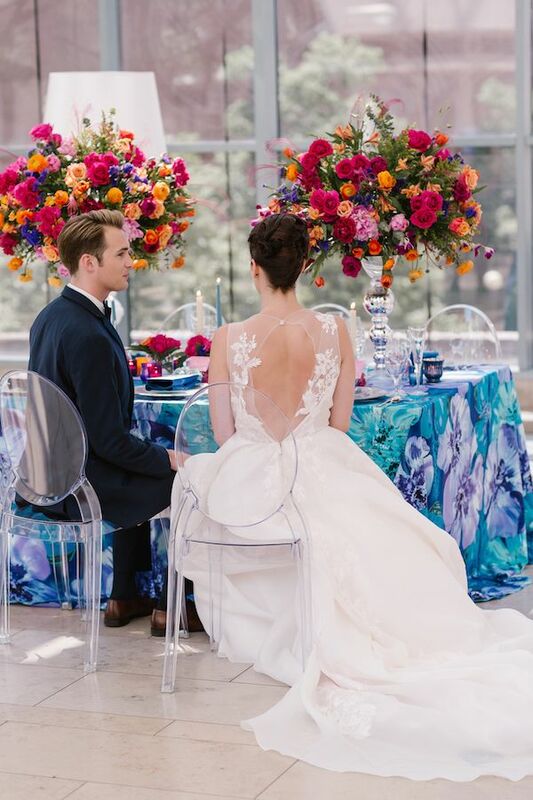 "Everything from the makeup to the linens, from the jewelry to the stationery was carefully coordinated to create this stylized shoot in downtown Indianapolis' Arts Garden. 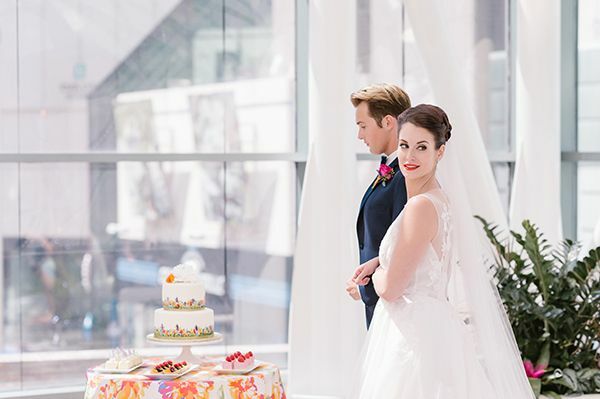 The space is bright and airy and really highlighted the vision we had in mind." 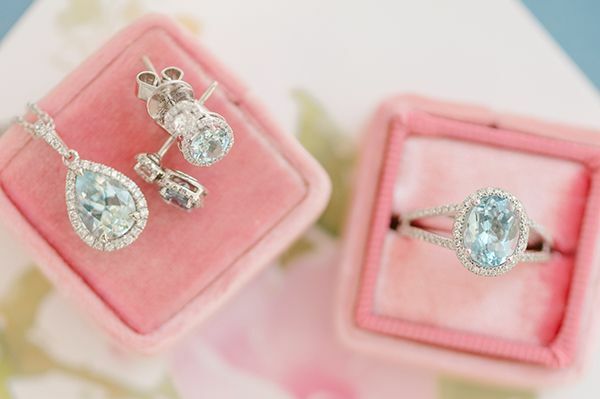 "Finishing the shoot with the tiny details is what made this one really special. 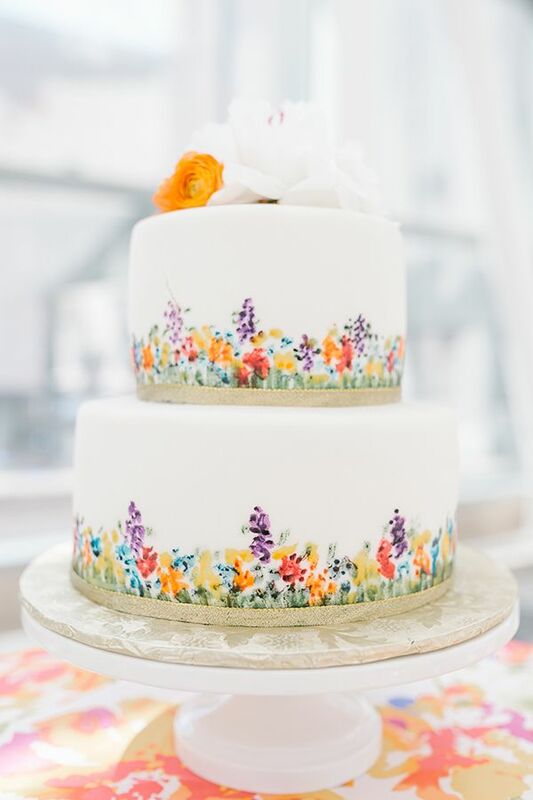 The hand-painted cake design, the menu tassel elements, the rose jar placecards and the bride's accessories brought it all together in the end. 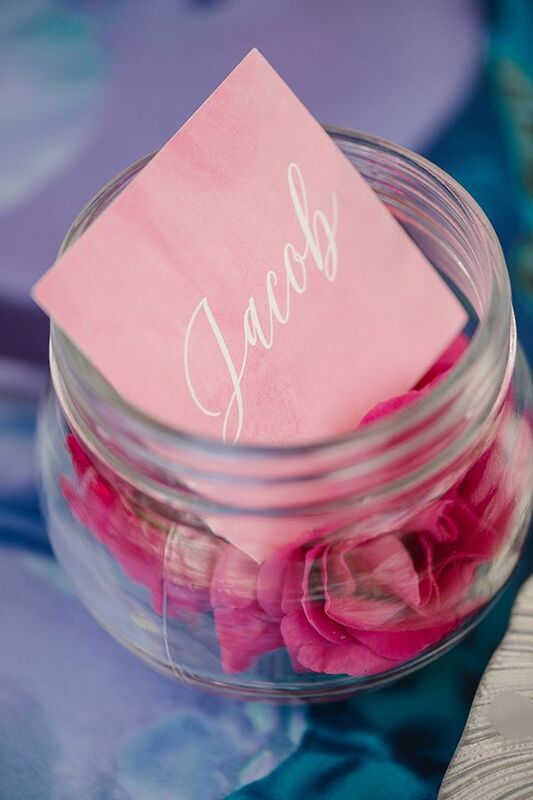 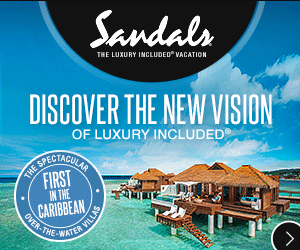 We just love this bold and unique project!" 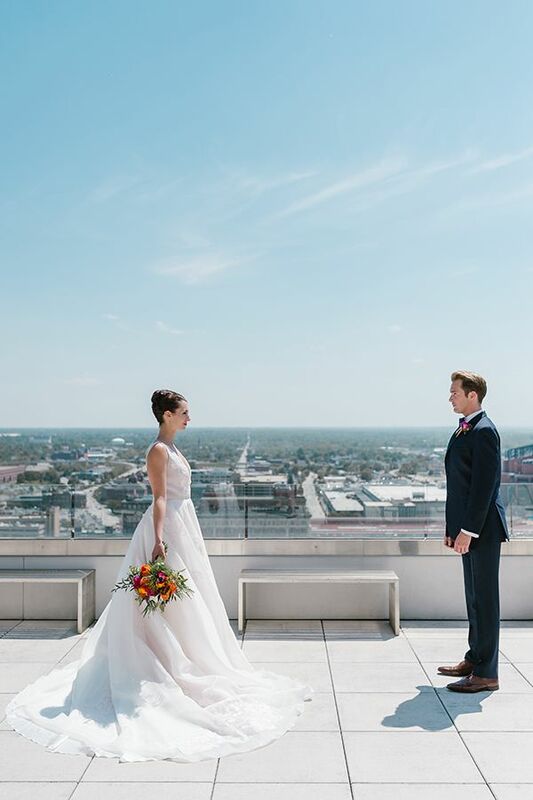 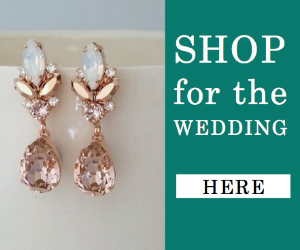 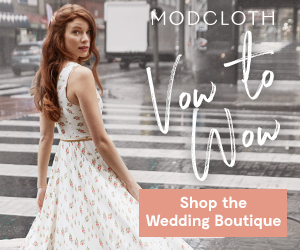 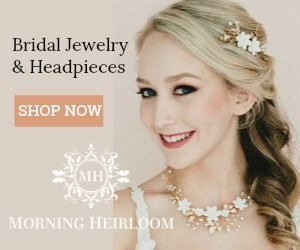 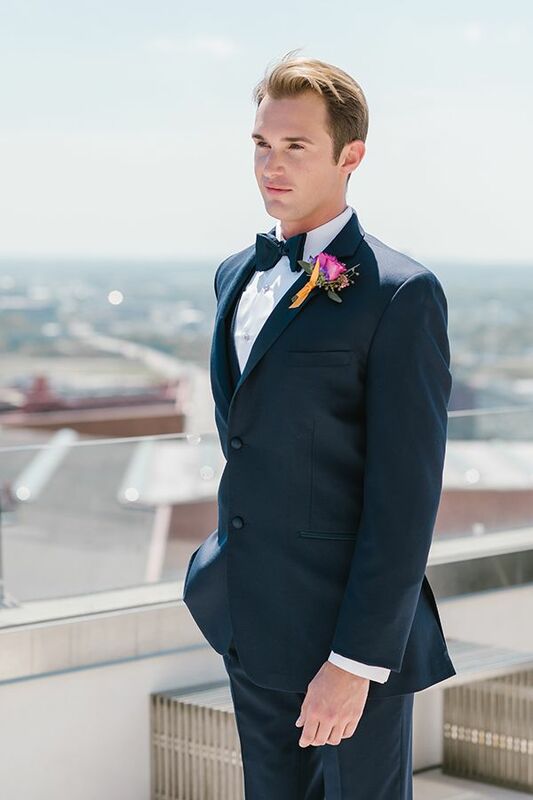 10 Comments " Modern and Bright Rooftop Wedding Inspiration "
It have decidedly been an example in the present years that the women jump at the chance to tailor their suits rather than getting a redimate dress. 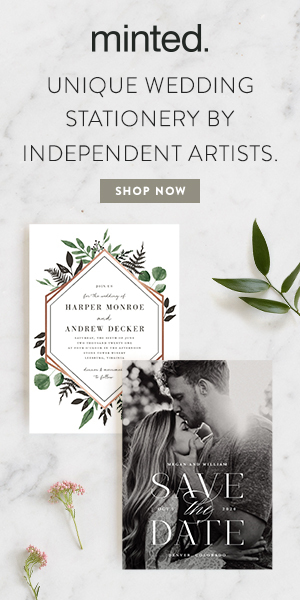 What a neat concept with that cover! 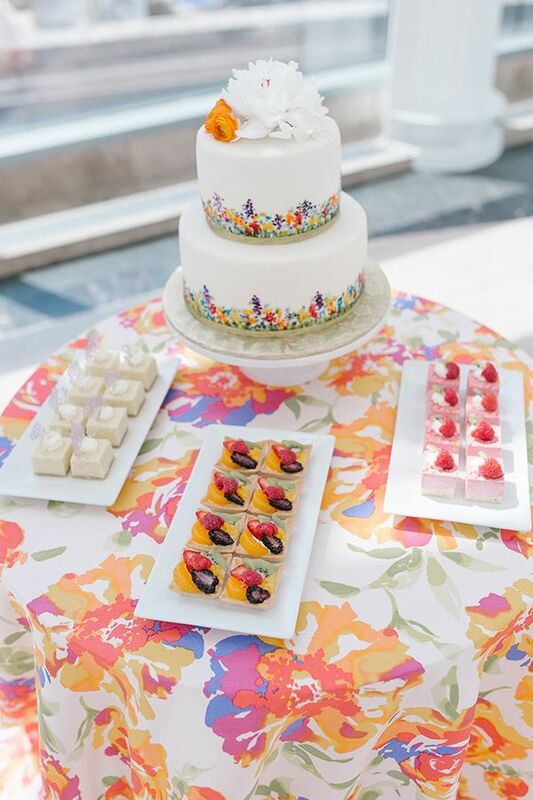 The cake is likewise neat: being asymmetrical and all. 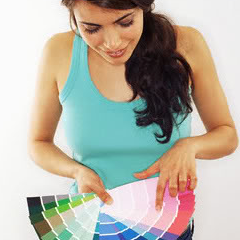 One of the best IT companyLocus Rags in India.